It’s probably best if I include the brackets to the song title ‘It’s the End of the World As We Know It (and I feel fine). This is just in case you think there is some hidden apocalyptic message in this blog post. Well there’s not. For one thing, I’m not smart enough to hide a message, barely smart enough to type one in the first place, never mind dress it up as something else. Is there a connection in the title? Perhaps it’s R.E.M. Having Parkinson’s does mean a poor sleep pattern and the increase of half sleeps, a technical term, and with all the waking and half waking there is an increase in the dreamlike state called Rapid Eye Movement (REM) and what dreams you get! Surreal beauties. 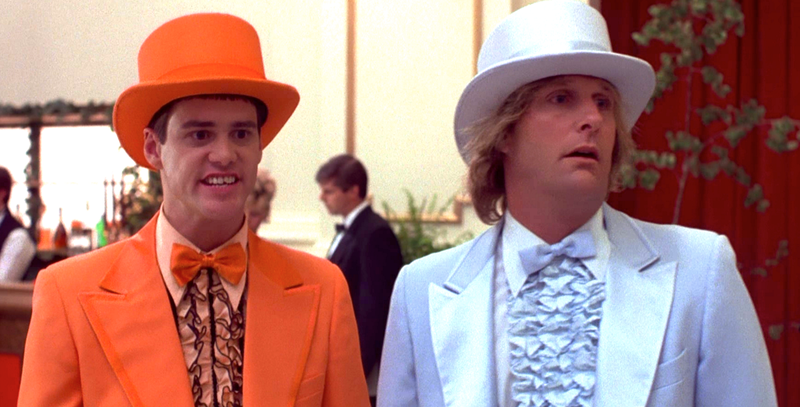 I once had a real set to on Question Time with Nigel Farage and Boris Johnson, both wearing top hat and tails, I wonder now if I was thinking of Dumb & Dumber, only in black and white. What it is though, is this; Last year was an amazing year full of hope and adventure. A whole load of things rolled on from one month to the next, really huge life changing events, getting married last April, how life changing do you want? Then culminating in the Long Straight Walk and all the fund raising evenings along the way. Add in TV, newspapers and radio too, wee Johnny’s on the telly, how exciting for Johnny! But that was last year. That was the year that was. Then what? Back to reality, back to being me again and remembering I have years of living with Parkinson’s to come. Scares me stiff. The last paragraph is true, even the scared bit but that’s OK. That is what I have to deal with but not on my own. I get so much support I know I can cope with the situation. Life is scary for lots of folk and many of them have more to worry about than myself. What this is is the sign off from the long straight walk era. Time to move on. What led me to realise the time had come was when I spotted the LSW site on google, still with the dates for September 2014, still me claiming to be doing the walk. What an idiot. A year on and still looking back, not anymore. there’s just too much going on to be harking back and this blog is about to change. Looking forward again being positive not complaining about iphones, burgers or buses.